Stocks printed 3 large Selling on Strength days as it emerged from the 10/29/18 DCL. Initially I attributed this volatility, in part, to Tuesday’s elections. I also speculated that stocks maybe foreshadowing the pending 4 year cycle decline. So I am beginning to wonder if the smart money initially got it wrong. 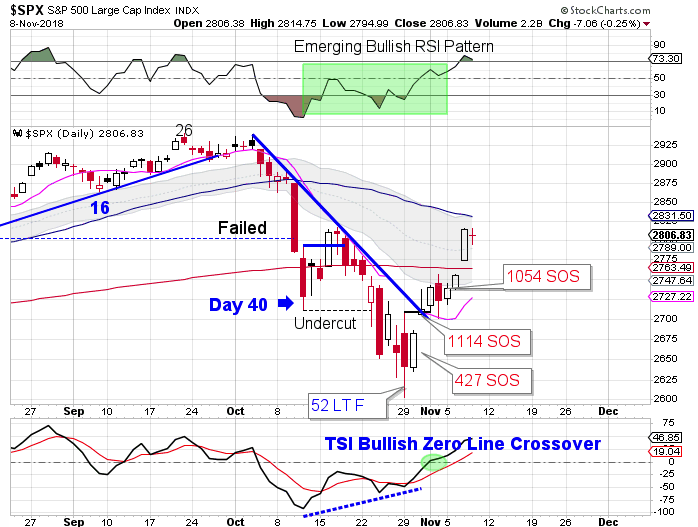 I would have expected to see the 200 day MA provide more resistance with over 2.5 billion SOS during the first 5 days of the new daily cycle. So instead turning stocks lower, stocks gapped right through the 200 day MA. The 200 day MA not providing any resistance was a clue to the powerfulness of this initial thrust out of the 10/29/18 cycle low. 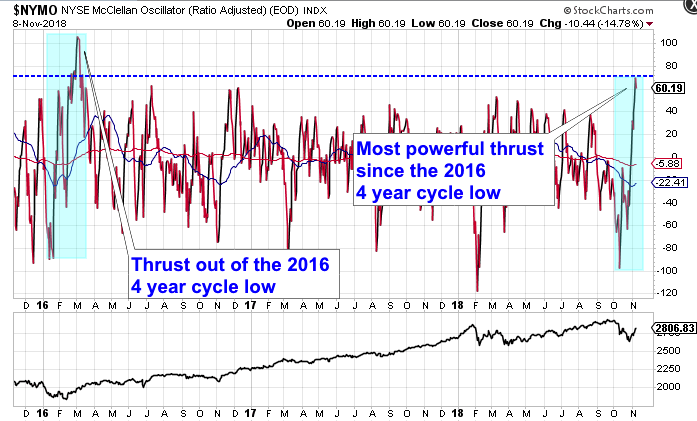 And looking at the NYMO we can see that this is the most powerful initial thrust out of a cycle low since the initial thrust out of the last 4 year cycle low in 2016. So that is why I think that the smart money was expecting another leg lower and was therefore selling into strength. 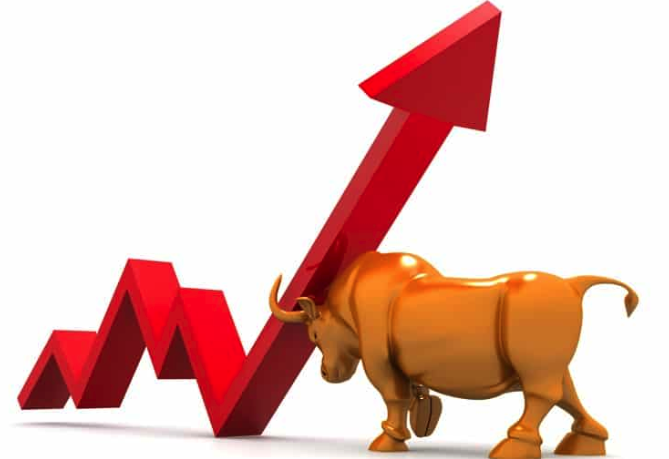 And now with the 401 million Buying on Weakness that printed today we are starting to witness the tide turning … which is just in time for stocks to head into the most bullish time of the year. And if stocks manage to slice through the declining 50 day MA, that would affirm my bullish expectations heading into the end of the year. This entry was posted in Uncategorized and tagged buying on weakness, selling on strength, SOS, stocks by likesmoneystudies. Bookmark the permalink.